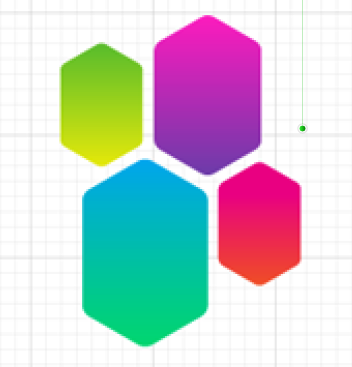 How can I adjust how steep the angle of the ends of the polygon tools hexagons are? I don't know the technical term for what part of the shape I'm asking about so I'm posting a picture. 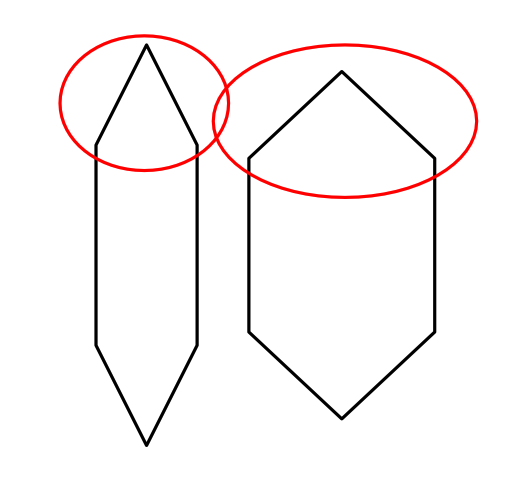 If you draw those shapes using the Shapes Tools, you must first convert them to curves. To do it select the shape and press the Convert to Curves button from the context toolbar. Then change to the Node Tool, select the node on the top, press ⇧ (shift) to contrain the movement vertically and drag it. Alternatively select it a use the ←→↑↓ (cursor keys) to move it one unit at a time (nudge). Pressing ⇧ (shift) while doing it will move the nodes 10 units instead.